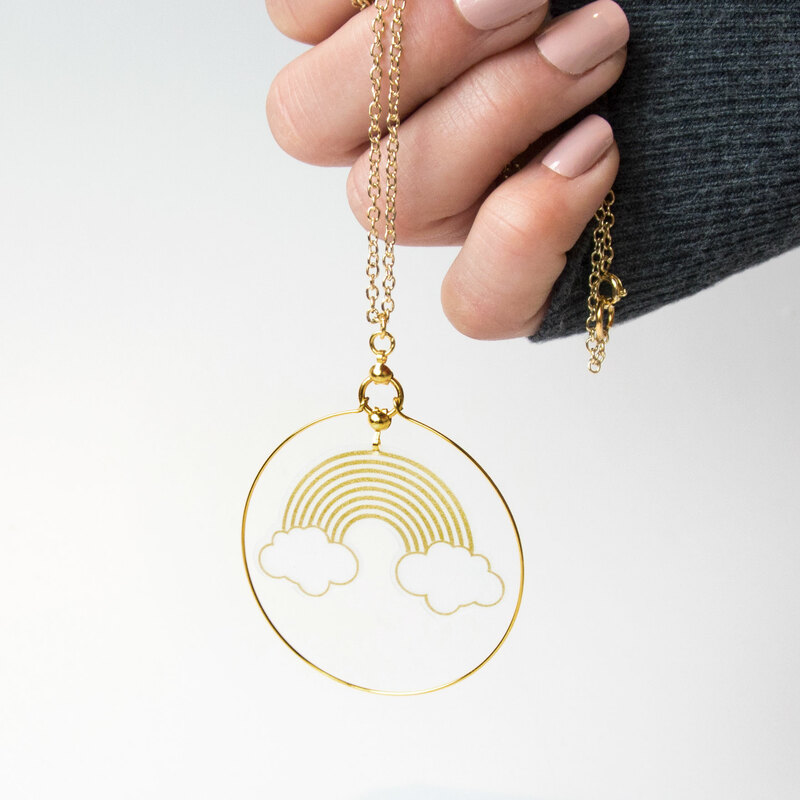 A playful rainbow gold hoop pendant necklace. Made from a soft flexible vinyl sheet, delicate yet durable and very lightweight. 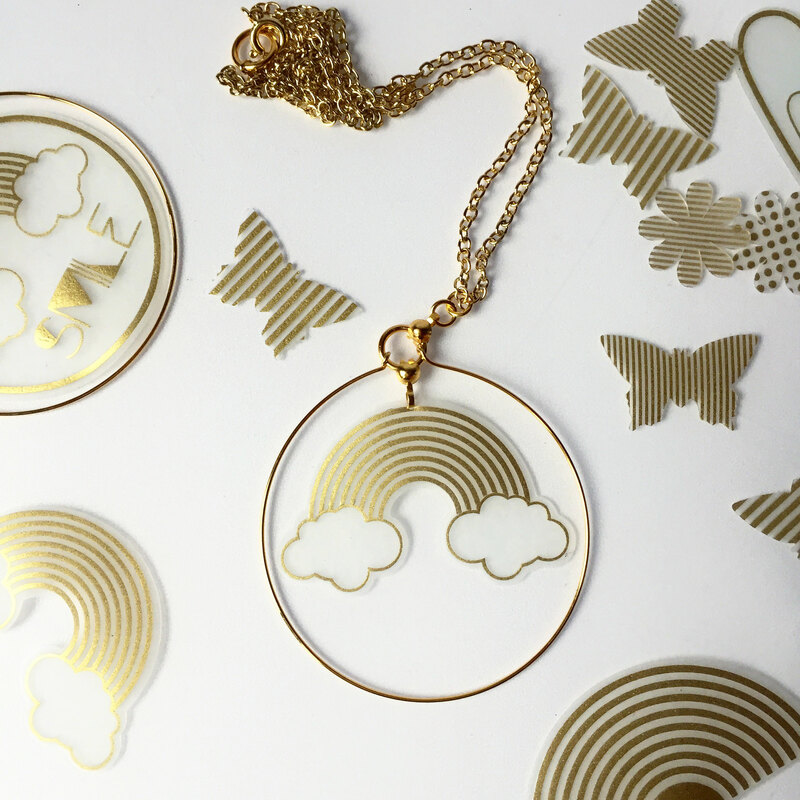 This gold rainbow hoop necklace is a perfect gift for so many occasions & so for many people. 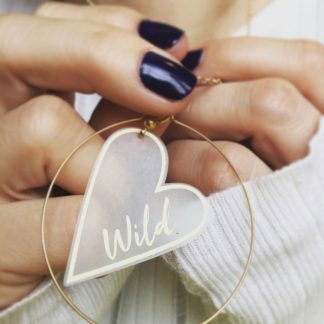 Whether you’re wanting to share the happiness or just know that person that radiates love, happiness and warmth, this is the necklace for you. 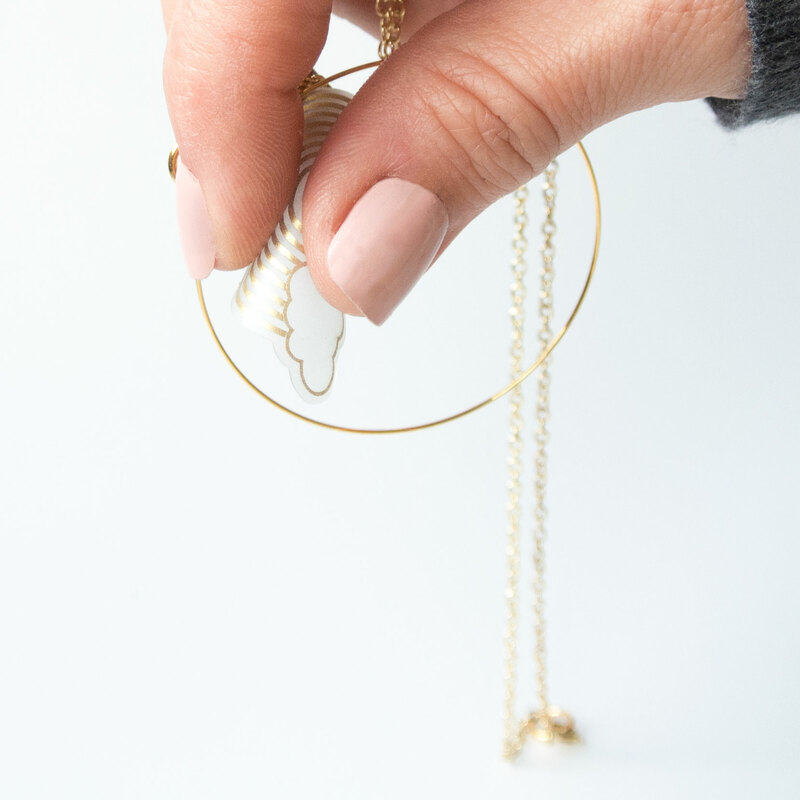 Due to the wonderful lightweight nature of the necklace, its great for everyday wear. 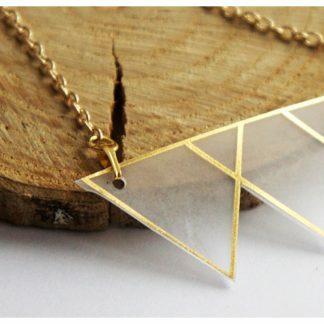 Handmade in Britain & a very unique gift to send, or even to keep for yourself. 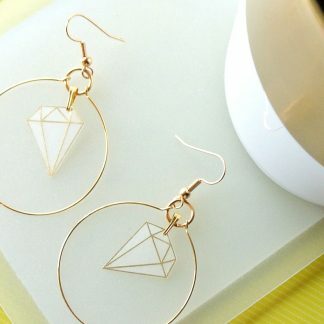 The jewellery will come packaged on a stylish frosted card with an envelope for the perfect no-hassle gift. The rainbow is made from a flexible vinyl sheet and gold foil, hung on gold plated hoop & trace chain. Store Flat, clean with soapy warm water only. Keep away from newly dyed fabrics such as dark denim.